Human rights language is abstract and ahistorical because advocates intend human rights to be valid at all times and places. Yet the abstract universality of human rights discourse is a problem for historians, who seek to understand language in a particular time and place. Lora Wildenthal explores the tension between the universal and the historically specific by examining the language of human rights in West Germany between World War II and unification. In the aftermath of Nazism, genocide, and Allied occupation, and amid Cold War and national division, West Germans were especially obliged to confront issues of rights and international law. 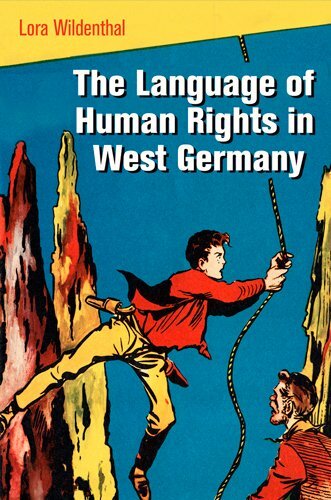 The Language of Human Rights in West Germany traces the four most important purposes for which West Germans invoked human rights after World War II. Some human rights organizations and advocates sought to critically examine the Nazi past as a form of basic rights education. Others developed arguments for the rights of Germans—especially expellees—who were victims of the Allies. At the same time, human rights were construed in opposition to communism, especially with regard to East Germany. In the 1970s, several movements emerged to mobilize human rights on behalf of foreigners, both far away and inside West Germany. Wildenthal demonstrates that the language of human rights advocates, no matter how international its focus, can be understood more fully when situated in its domestic political context. If you have any questions about this product by University of Pennsylvania Press, contact us by completing and submitting the form below. If you are looking for a specif part number, please include it with your message.